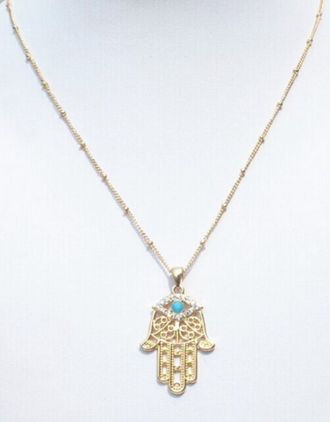 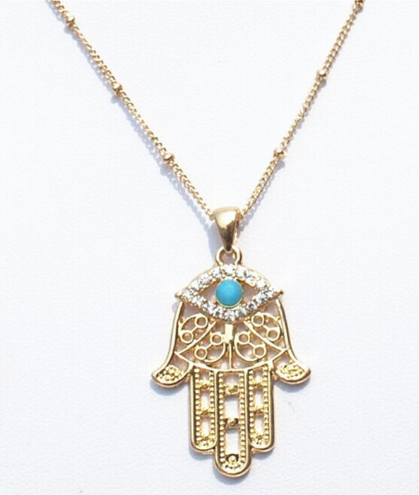 New to our Hamsa Collection, Khamsah is an Arabic word that means "five", but also "the five fingers of the hand." 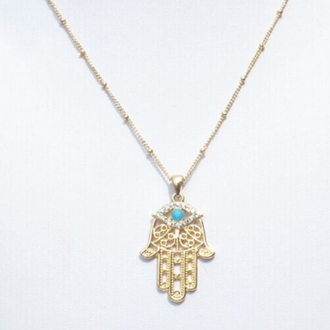 The necklace represents the beauty of just that. 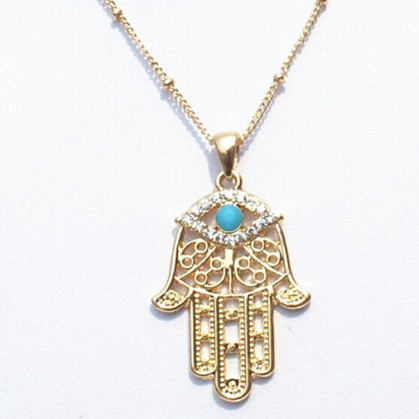 With a gold plated chain and pendant, this pendant is clearly in a league of its own.